What was supposed to only be a last minute holiday shopping trip turned into two shopping trips and not a lot of holiday things bought. WHOOPS!.. Oh well! I did out do by myself this time and went absolutely spending crazy on all things beauty, thanks to the lovely blogs I follow recommending so many nice things this month. Being brand new to all this I guess made me very encourage-able, but for the first time buying cosmetics I wasn't disappointed with any of my purchases. 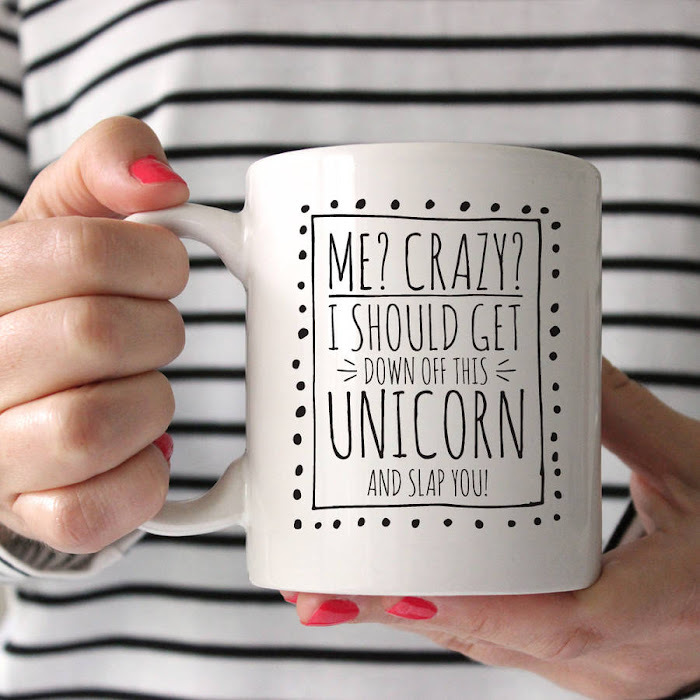 Clearly reading blogs and reviews and other peoples advice really is the new way to know what to buy. I clearly need a bigger dressing table, maybe I could convince someone to buy me the lovely one I have seen recently in Ikea. 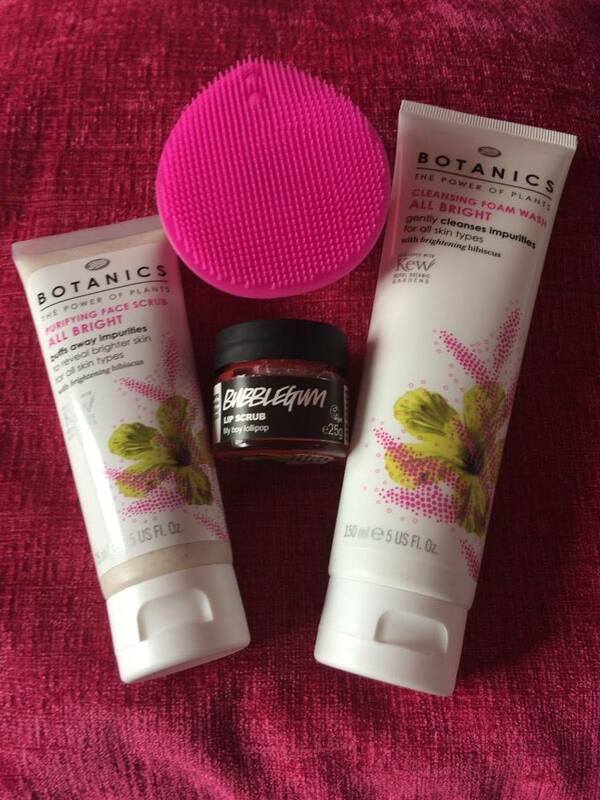 1: Botanics Foam Wash and Face Scrub - I decided after reading many different websites reviews to give Botanics a try. Im very picky with skin and face care as it can easily flare up and take a total dislike to the majority of everything I buy. I have been using this since Saturday and can say im actually surprised how happy I am with it. The foam wash is lovely and gentle on my skin and leaves it very soft and smooth. The Botanics face scrub works just as well and is not to rough on my skin. I also bought a little face scrubber from Primark's beauty range which works brilliantly with the foam wash and doesn't aggravate my skin. 2: Lush Bubble Gum Lip Scrub - This was a random in-store purchase because I simply couldn't leave the shop without it after I had stuck my nose near it. The smell is divine and the fact that it goes on your lips and tastes just as good is a massive plus! I've tried loads of lip balms and scrubs but this is by far my favourite. 3: Max Factor Lasting Performance Liquid foundation - I cant actually review this yet as I haven't tried it. The colour was a lovely close match to the back of my hand and my Bareminerals powder foundation needs replacing so I decided to give a liquid a go. 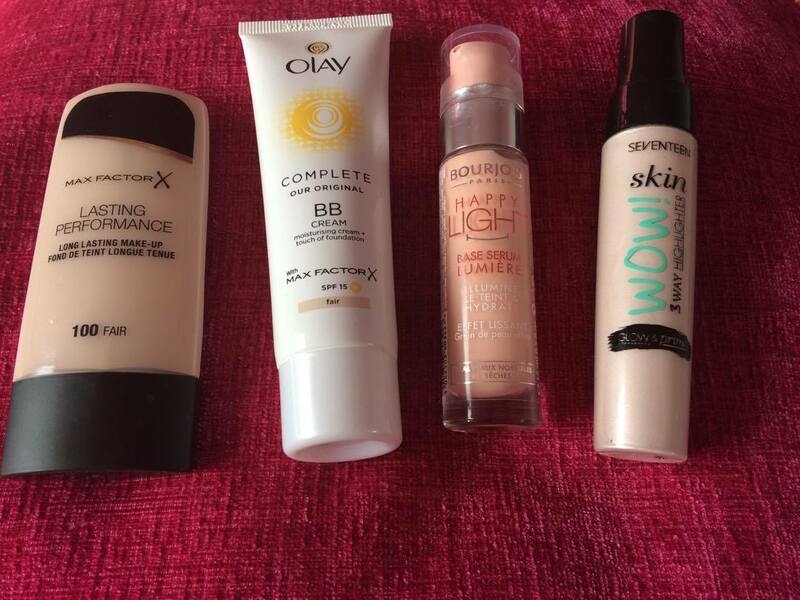 4: Olay Complete BB Cream with SPF|Light - I read a review recently that made my mind up about this product. As I said before the skin on my face can be very sensitive to different products and I absolutely HATE suntan cream on it. I have very pale skin and always get the "you look poorly" remarks when I don't have foundation on. So this seemed like the perfect solution a BB moisturiser tinted with foundation and contains SPF to protect against the sun. This is definitely going in the suitcase in 15 days time! 5/6: Bourjois Luminous Primer & Seventeen 3 in 1 Primer - Both cosmetics work well together and I love the way the highlighter draws attention to my cheeks. 7: Kiko Desert Dunes Baked Blush - I was looking for a compact blusher and this ticked all my boxes! I am a huge fan of anything Rose Gold so was instantly drawn to it in the store. The colours blend well together and leave a lovely summery hue on the cheeks. 8: Seventeen Brows that! - I figured this was always going to be something I would get into as so many people are changing there look simply by adding to there brows. 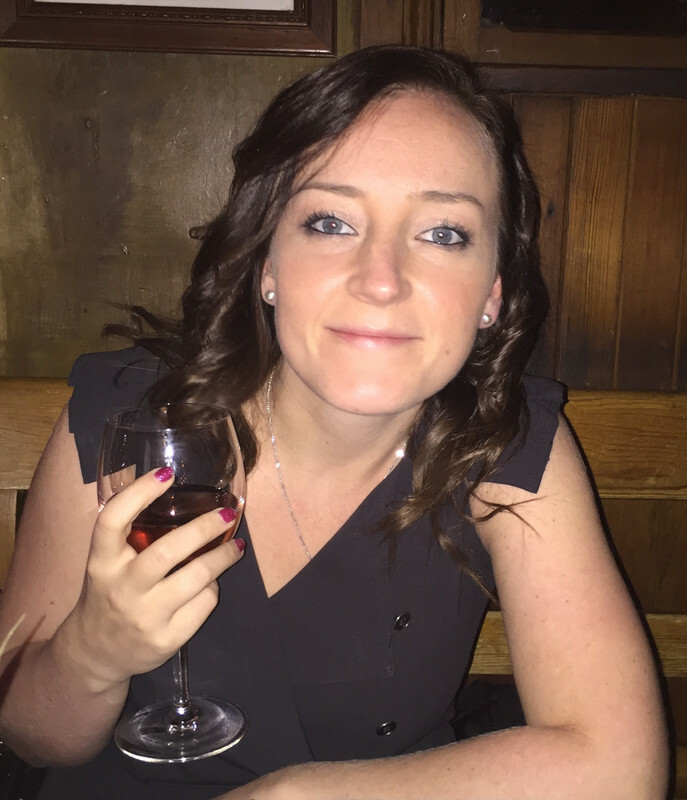 There was a review on a blog I read that suggested everything you need for brows was in this little st. Im pleased with how correct it was and have had total success without looking like a clown or completely unnatural. 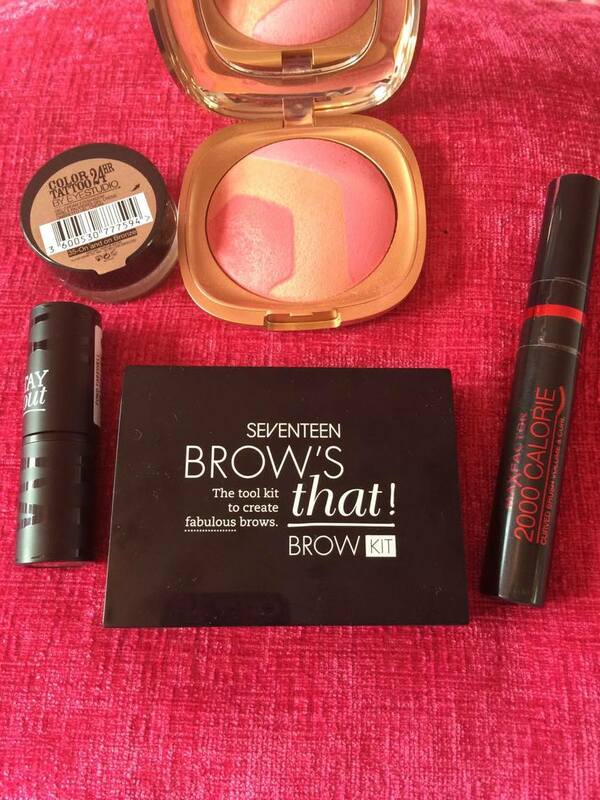 The box contains a wax, a powder and a highlighter as well as a brush and brow pencil. 9/10/11: Seventeen stay pout lipstick, Maybelline eye-studio color tattoo & Max Factor 2000 Calorie Mascara with curved brush - The lipstick really does stay put and doesn't dry out the lips, the colour is vibrant and drys with a very light feel. I haven't tried the eye colour yet but will review when I have, ive never used a creme before so that should be eventful. The mascara was a replacement for my old one and it was until I used it this morning that I realised my old mascara really didnt do anything for my eyes. The lovely curved wand extends lashes in all directions and spreads them out wonderfully, I already have long eye lashes and have never needed false ones but the mascara just adds to the length. 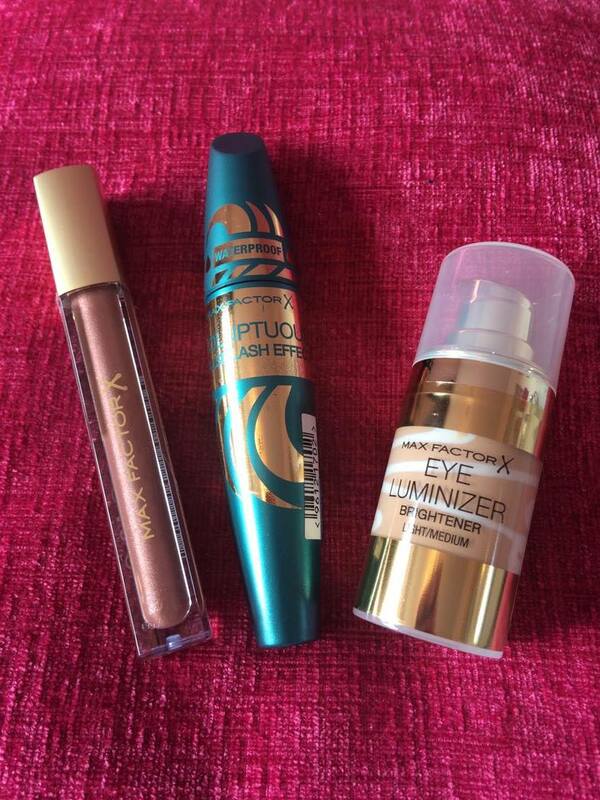 12: Max Factor Summer Set - I actually got this as a free gift for spending more than £14.99 on Max Factor products. The Eye Illuminzer is a god send! At first when I put it on I thought i was going to have to take it straight back of it goes on VERY orange. But once rubbed in fades and leaves eyes looking very fresh, so fresh that I didn't need any of my usual concealer to brighten up the under eye area. 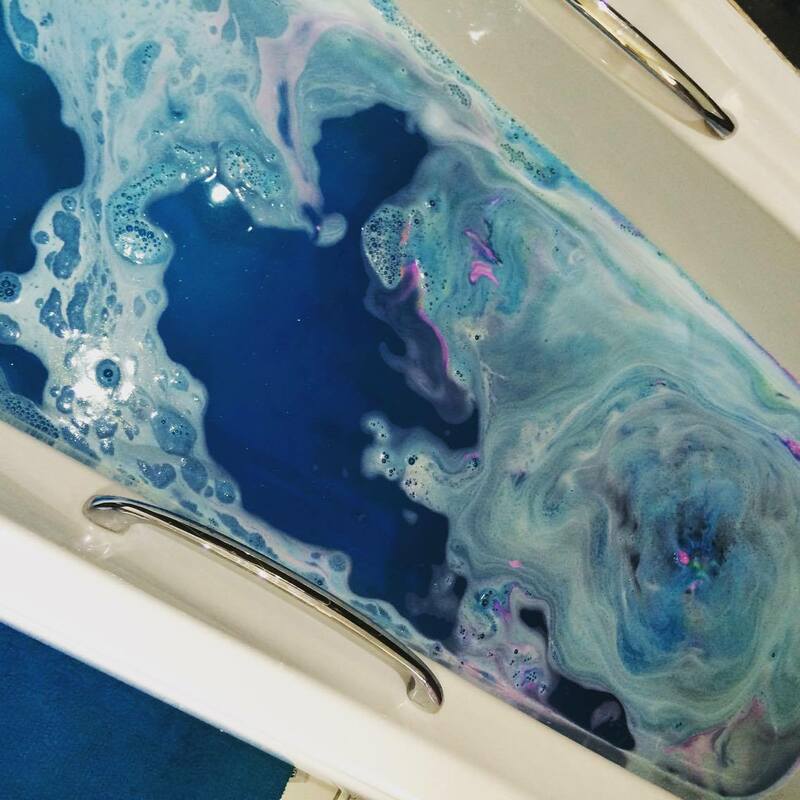 13: Lush Intergalactic Bath Bomb - For anyone who follows me on Instagram or Twitter you will already know my review of this! It literally is out of this world! The bath ends up that blue that when your in it you cant actually see yourself under the water! The colours are sooooo pretty and the water is sooooo glittery! I was going out the day after and actually worried that getting in meant I might actually get out looking like a glittery blue smurf lol! I can review that I didn't and am still of normal colour. 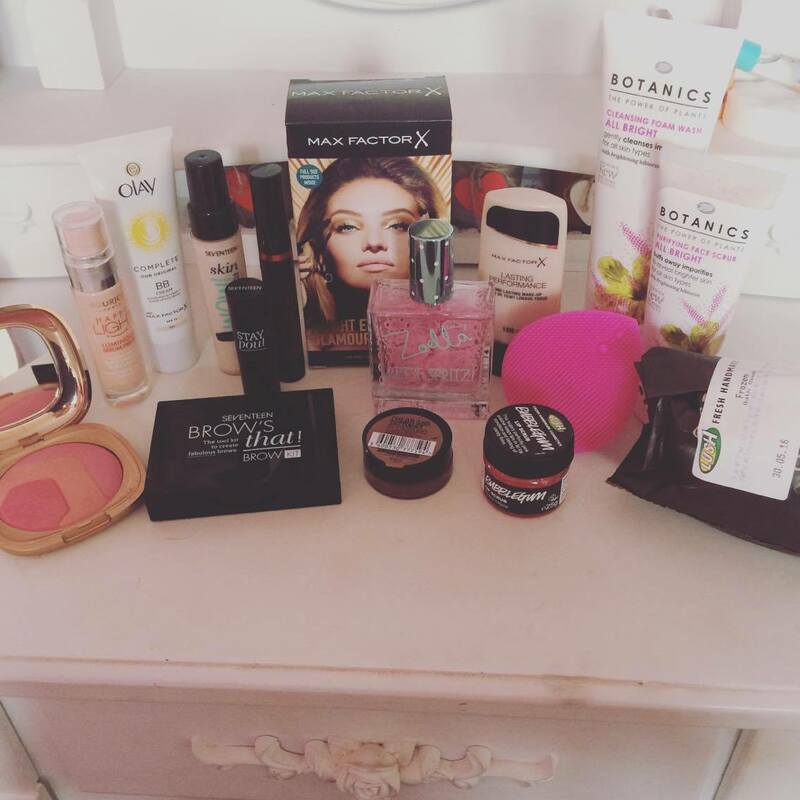 If your still reading this haul blog your probably now thinking "well thats half an hour im never going to get back!" My Bad! As I said a small fortune was spent and nothing that I actually needed, some shopping trips are just like that thought right girls! Its not always WANT its NEED!. What have you all been buying? Has anyone seen the limited edition Urban Decay Alice in Wonderland Palette, Oh my god I NEED that!